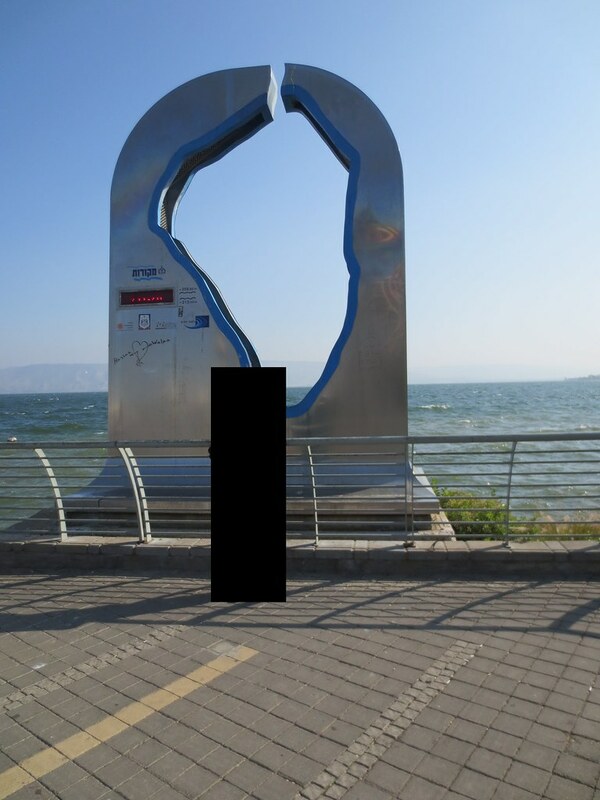 Joe's Israel Trip Report Hey guys! I finally got around to complete my Israel TR from back in January. I hope you enjoy it. There's no mileage shtick involved in this TR as I was just starting out on this game when we did this trip, so I didn't have anything to burn at that time. But hopefully that won't be the case with my future TR's. 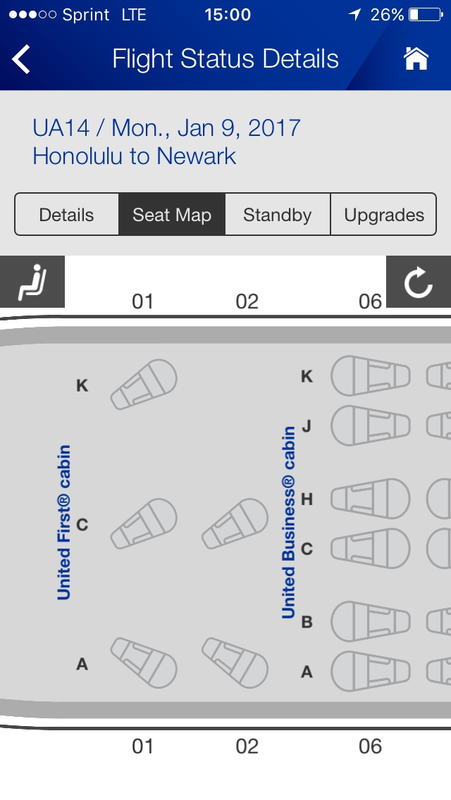 We scored tickets at the Widroe glitch @ $410 per RT EWR-TLV direct with United. I didn't even have a non forex fee CC at the time, so it was an additional $11.40 per ticket for the 2.7% forex fee bringing it to a total of $422 per ticket (still a good deal, don't you think? ). This was the first time visiting Israel for the both of us, and being new to the game and not having points yet meant that we probably wouldn't visit Israel this winter if it wasn't for this glitch (and Dan… Thanks!). Being that I planned on renting a car in Israel and didn't want to pay for rental insurance, I decided to get a Chase CC (don’t ask me why I didn't have one already. It’s embarrassing…) and if I was going to apply for 1, there was no reason not to get a second one. So I ended up doing a 2BM on the Freedom and SP and was instantly approved for both with a surprisingly large CL (Wanted to start with a no annual fee card that I can keep active for eternity (+ it was during the 20,000 signup bonus period) = Freedom. And the SP seemed to be my best choice for a 2'nd card, 1) I could use my Freedom points as UR. 2) No forex fee. 3) 2 PPD on travel - a category that I was about to use a lot in Israel). I did a lot of reading during the month and a half prior to our trip, mostly online (DDF, TripAdvisor (very n00b friendly forum), WikiTravel etc.) but I also followed Dan’s suggestion in his trip notes and got myself a copy of Lonely Planet’s travel guide, which turned out to be quite helpful in helping me breakdown Israel by the regions. 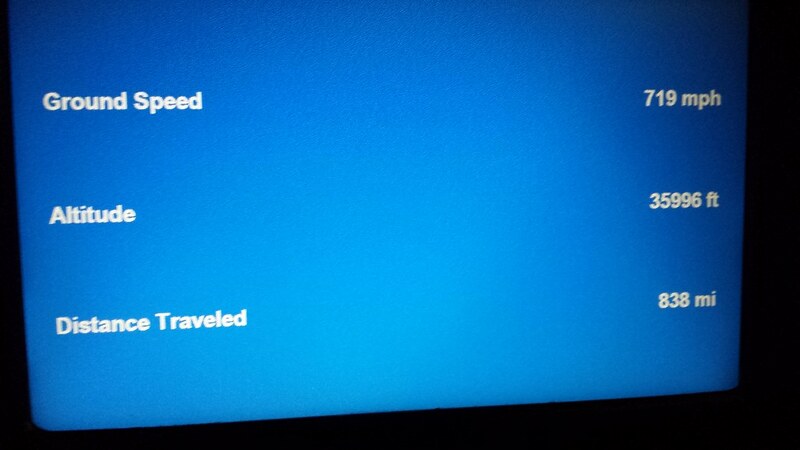 I did all our hotel bookings through Booking.com. They offered free cancellation up to a day or two before the reservation at all the hotels we were booked in, and I actually paid at the hotel and not through their site, so I could use a different form of payment or other CC if I needed to. I don't really have much to report on the actual flying experience as we flew economy . It was just the typical (stinky) coach flying experience (Something like this…). Upon arrival, while still taxiing, I popped the Golan SIM I brought along, into my Verizon Galaxy S4 – comes unlocked out of the box - and voice/text was available right away, while I just had to change the APN settings on my phone to access the internet as well. I used an app APN Israel that guides you through the process of changing the APN settings. Takes 2 minutes, it’s in Hebrew though. (A relative of mine travels there frequently, so he maintains an active SIM - with the cheapest available plan – throughout the year, and when need be, he upgrades the plan to include unlimited talk, text, and data – including calls to the US. You even get to set up a US number that forwards to your Israeli one). I didn't plan a lot for this day, and boy was I glad I didn't! As most of you here probably don’t know you're quite jet-lagged after flying 10-11 hours in couch. So it was great to just take it easy and not miss anything on the itinerary. We started off driving north to Caesarea, the drive took us about an hour and we arrived at Caesarea national park around 1:00 (Or should I say 13:00…). The park is quite big and there are several parking lots available for the public, but I had read somewhere online that there have been reports of car break-ins (Stolen luggage, etc.) 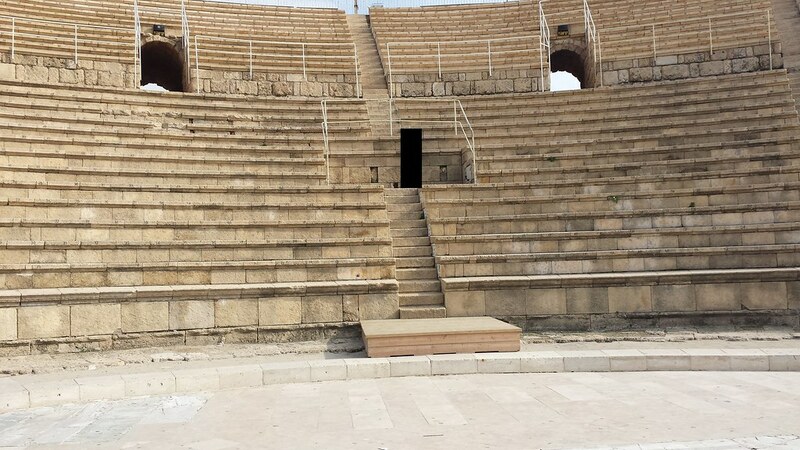 and to only park across the ticket booth at the roman theatre so your car is always in someone’s sight (this may not always be an option, as there are only a few parking spots there). Luckily, there was one available parking spot waiting for us and so we could enjoy the next few hours without the fear of being stripped in a foreign country. We planned on visiting a couple of national parks on our visit, so we purchased the 2 weeks - unlimited national park tickets for 150 NIS PP (Turned out we should've bought the 2 weeks – 6 parks tickets for 110 NIS PP. #FirstDayAmbitions). The park itself is as huge as it is magnificent. I’ll let you do your own homework on the history of this city - built by King Herod, but even if you're not a history buff it’s just amazing to see these majestic structures. They also have a short (10-20 minutes) film on the history of the city, which is great on recapping all of the empires that have ruled here. We spent about 2 hours walking through all the major structures while enjoying the breeze of the Mediterranean. We then returned to our car and drove to the north end of the park with the aqueduct as its main attraction (You can walk through the trail, but it’s a 20-30 minute walk), spent a couple of minutes at the aqueduct (You can usually park right in front of the aqueduct, so you can always keep an eye on your car), and then left to Haifa. We drove approx. 30 minutes further north to Haifa. We stopped at the Bahai gardens. Since we were there in the late afternoon we could only see part of the gardens, which wasn't that spectacular to me (there is a free guided tour of the inner gardens every day at 12:00). We then went up to the top of Mount Carmel for spectacular views of the city and the Mediterranean. Our timing was perfect as we arrived a few minutes before sundown so we could experience this amazing view, both, at day and night. I couldn't find any mehadrin restaurants in Haifa, so we had to drive 15 minutes back south to Atlit where I found a mehadrin restaurant, Ben Ezra Hadayag. They started off with the typical Israeli salads and some spicy bread which was pretty tasty. We then had the salmon fillet off the grill (mediocre) and finally some fudge with vanilla ice cream for dessert. We also ordered a pitcher of freshly squeezed lemonade which never made its way to us. (At this point I was pretty knocked out, so I didn't care that much about the food, just wanted to get moving). We paid 150 NIS in total. Their service wasn't the fastest and the food wasn't the best, but considering there’s no other mehadrin restaurant in the area I would’ve returned for a dinner had I been in the area again. 2/5. Finally we were en route to our final destination for the day; Akko. I figured since we were there in the winter, it’d be best if we could do the most travel possible at night so we can maximize our day hours on actual sightseeing, hence the drive to Akko. In Akko, we were booked at the Akkotel, a boutique hotel situated within the old city walls, making it very unique. At $185 USD for the night (which ended up being $190, as they charged my CC in Shekels) it was our most expensive hotel stay throughout our visit. I wasn't blown away as I expected from the online reviews, but it was a pretty comfy experience. The hotel has 5-6 free parking spots right up front and since it’s a considerably small hotel, I would guess that there’s basically always parking available. Wi-Fi was free as well, had it only worked in my room… The hotel isn't kosher though, and since it’s built into the city walls, it doesn't have that much natural light (If that gets you going…). We checked out about 10:00 and drove 2-3 minutes into the new city, where we stopped at a supermarket and got ourselves some food for the day. Had something to eat and drove right back to the visitor center in the old city, where we purchased tickets including all Akko old city sights and Rosh Hanikra entrance fee (including the cable car) for 75 NIS PP. Their CC machine was out of order, and after wasting 5 minutes listening to the old lady selling the tickets complaining about their computers never working properly, I was happy to pay her in cash and just get going. Entrance tickets included an audio guide that we picked up right next to the ticket booth (Have to leave an ID with them), and was very informative, getting you to understand what you're actually looking at throughout your self-guided tour. 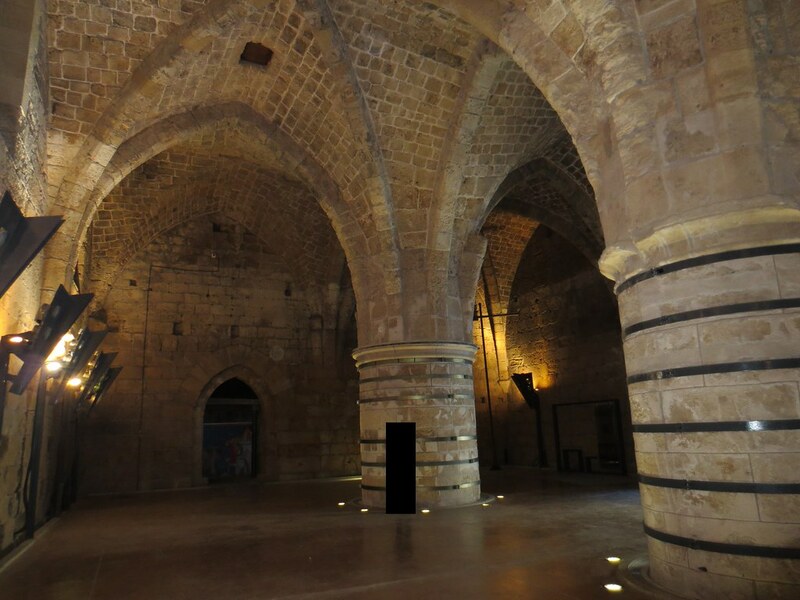 In short, we visited the crusader citadel, Templar tunnel, knight’s hall (Archaeological ruins, mostly from the crusader period), treasures in the wall (A museum built into the old city walls, not far from Akkotel) and the Turkish bath (A walk through a 200 year old bathhouse) as well as some shopping in the shuk (With all types of things being sold there, from fresh fish – and loads of them – to all kinds of clothing and souvenirs. We bought a complete nargila set including tobacco for 50 NIS, but of course it didn't work even once. You get what you pay for, I suppose). We also went to the Ramchal Synagogue, but it was closed. While exiting the Templar tunnels we were very close to the pier. We went over and had a local fisherman take us for a 15-20 minute boat ride (50 NIS), to see the sea walls surrounding the old city. It was a bit foggy, but we could still see Mount Carmel in the horizon. We then drove about 30 minutes north to Rosh Hanikra. Took the cable car (claimed to be the steepest cable car ride in the world) down to the grottos, where we started off with the short history film (It shows in a pretty unique room carved into the rocks) and continued onto the pathway surrounding the grottos, which finally turns into a sea promenade with great views of the Mediterranean and the mountain rocks housing the grottos. From a nature perspective, this is one of the nicest places in Israel. After returning to the top of the mountain rock, we watched sunset over the Mediterranean. Amazing view. We then headed to Meron to kever Rashbi. It’s about a 45 minute drive and from the curves of the road we could see that the darkness has us missing out on some amazing views. After Maariv and some tehilim at Reb Shimon, we continued to Amuka to kever Rebbi Yonasan Ben Izziel. The roads are very curvy heading to the kever. It was pitch dark and a quite scary drive, but DW wanted to go for a relative that is in need of a shidduch. Our final destination for the day was Tzfas. We went straight to Mendi's restaurant (Eida supervision) for dinner. The food was okay, but nothing more than that. I don't remember exactly what we ordered, but we paid about $50 USD total. 2/5. Finally, we headed to the Ruth Rimonim hotel where we had reservations ($110 USD). The hotel consists of two buildings and they upgraded us to a mountain view room in the – IIRC – new building. The two buildings are not connected to each other, so you need to go outside to access the other building, but they had someone take our luggage so it wasn't that big of a deal. The room was very spacious and had an awesome view of mount Meron. 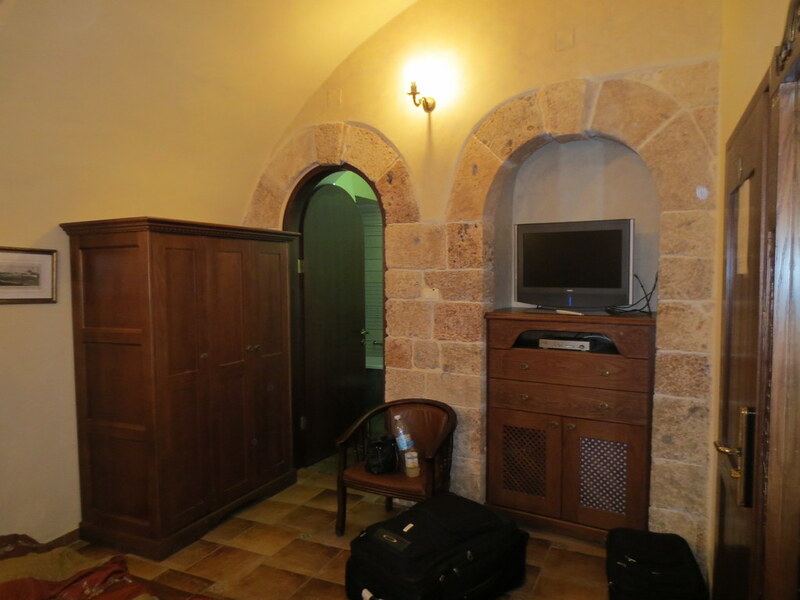 Overall, it was pretty good for an Israeli hotel room and my main and only issue was that it wasn't 100% clean (some minor spots). After davening, I exchanged some dollars at the Gabbai for a quite decent rate of 3.46 NIS while the official rate was 3.48 (I was told that most Gaboim will exchange at a good rate), and headed back to the hotel for a scrumptious breakfast with a huge variety of eggs, cheeses, vegetables, pastries, cereals, jams, and more. They also make you cappuccinos, hot chocolates etc. Since we’re not used to eating breakfast at hotels it was a pretty neat experience. 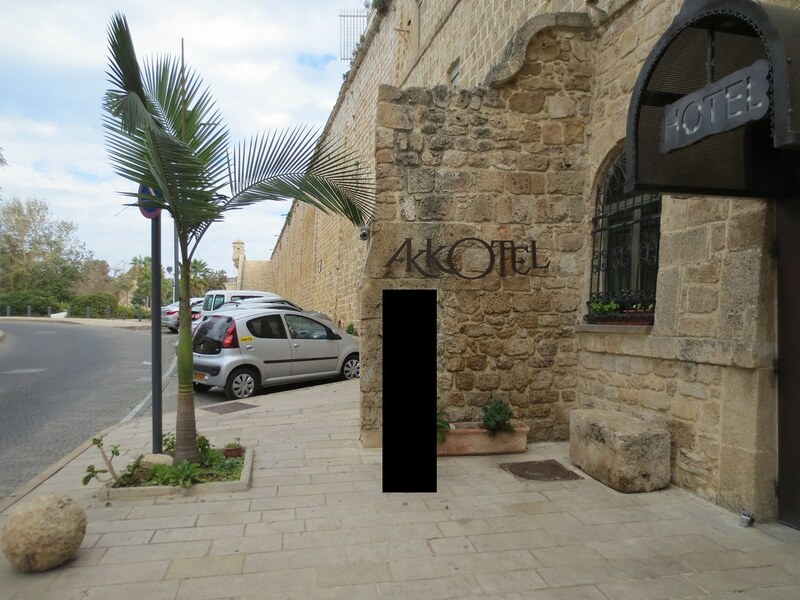 The hotel is under the rabbanut and is not mehadrin. However, I had a chat with the mashgiach – I believe he's there every day past 8:00 – and he showed me the food that is actually under mehadrin hashgachas, which amounted to 90-95% of the food served as well as all the drinks. 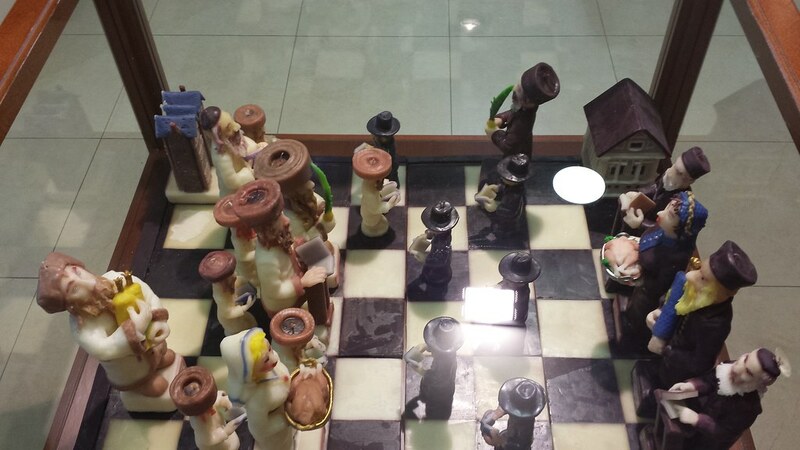 We started with the Jewish quarter. As we walked by the narrow streets, he taught us a lot of history on the city and stories of his childhood in the city. In 3-4 hours we went to both Ari synagogues (Ashkanazi and Sefardi), Avuhav Shul, Rebbe Yosef Karo’s house (Outside only. 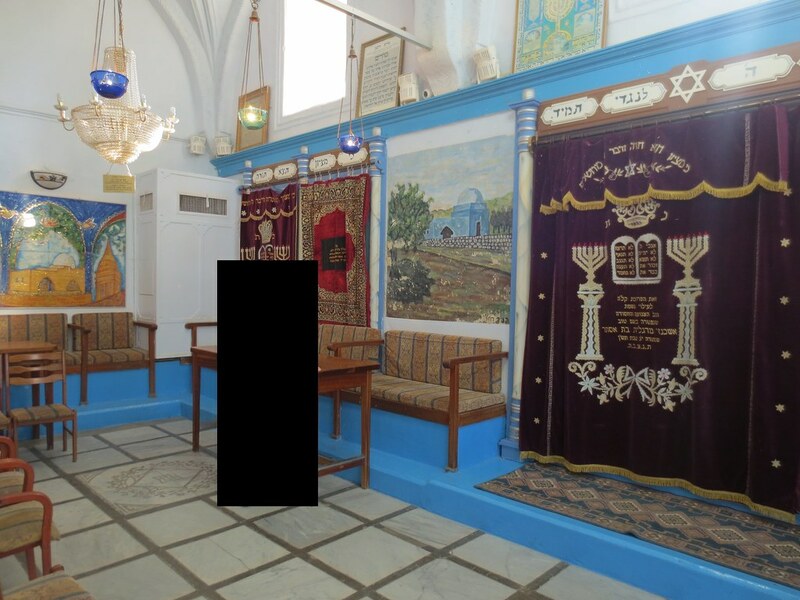 It has limited open hours), old cemetery, Ari's mikvah (No. 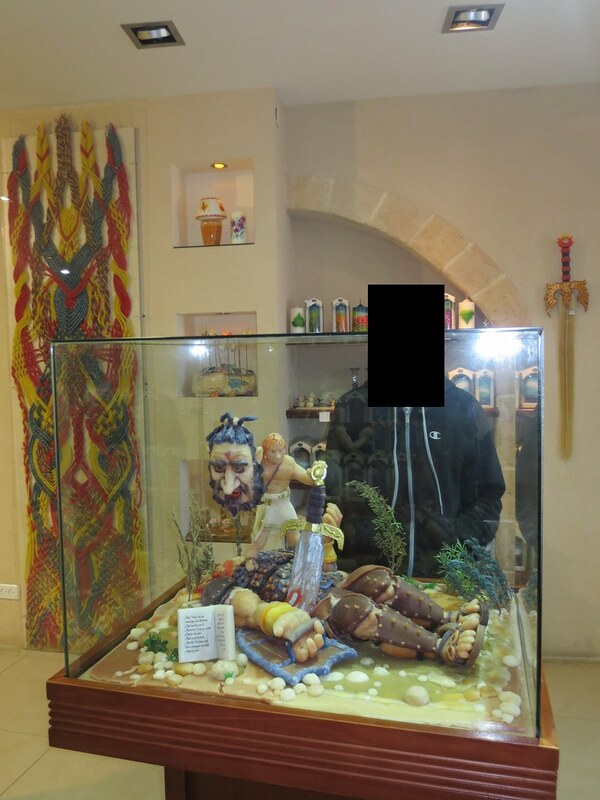 I couldn’t get myself to take a dip in January…), some archaeological excavations from the old city, Safed candle factory – featuring some amazing models made out of wax, and the gallery street with quite a few artistic judaica galleries. Even though we moved pretty fast, we didn't feel like we’re missing out on anything as Aryeh gave us all the important info served on a silver platter. 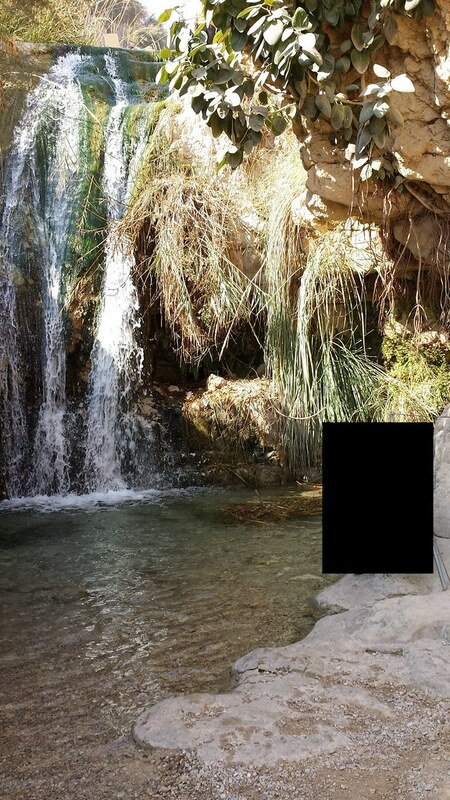 We drove to the Golan and started off with Banias waterfalls (Free entry with our unlimited national park tickets). This is no big waterfall (We have been to Iguazu falls less than a year ago, so we really couldn't enjoy this as a waterfall), but it did make for a short, and quite easy hike. 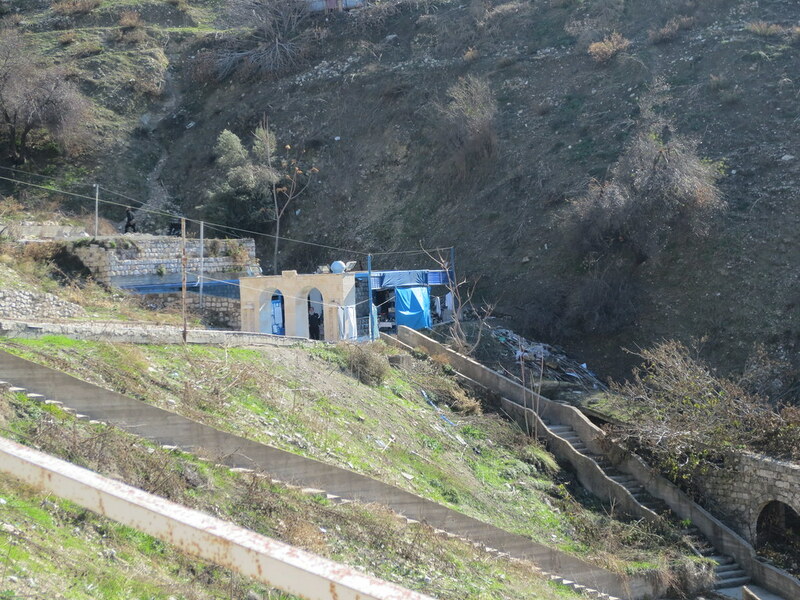 We then crossed the river and visited the archeological ruins of the old city of Pan that was settled by a cult over 2,000 years ago (The area name “Banias” actually derived from that cult) and Aryeh explained their weird lifestyle/religion. Next stop was Nimrod Fortress, built about 800 years ago (Free entry with our tickets as well). It’s situated on a ridge, giving it amazing views to enjoy. The fortress is pretty large and there are some magnificent ruins to see. 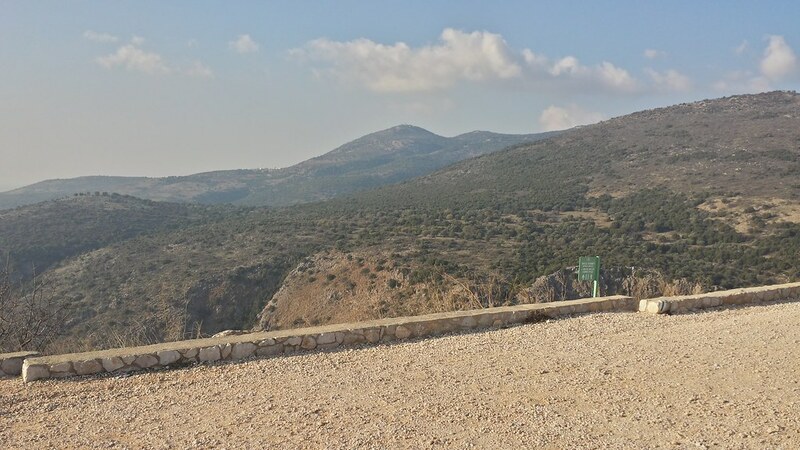 We then continued south to mount Bental, we didn't have much time left, so Aryeh suggested we skip the top of the mountain lookout, and rather stop at some lookout point in middle of the road surrounding the mountain. 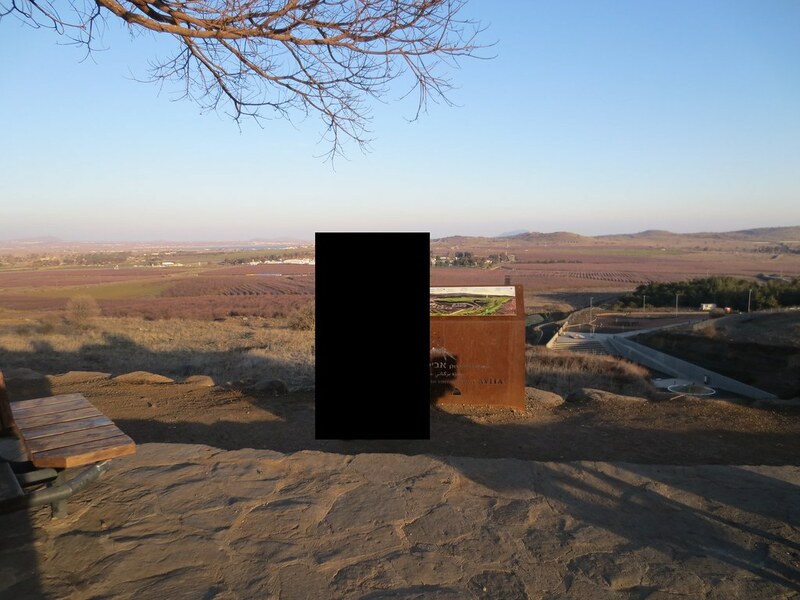 We could see Al Qunaitra, Syria, and Aryeh promised we didn't really miss anything on that top of the mountain lookout. We continued to Katzrin and went to the olive oil mill, an olive oil factory producing olive oil from Golan grown olives. We were supposed to have a tour of the factory, but as soon as we started the introductory video, they had a blackout and decided to close up early. At this point it was already late in the afternoon, so we headed back to Tzfas to drop off Arye and continued to Tiberias. I filled my tank with gas for the first time in Israel and it was ridiculously expensive at around $8 a gallon (I spent about $175 USD for gas during this trip, for a total of around 1,000 KM). We went to Mama Mia (Machzikei Hadas Belz supervision) for dinner and really liked their food. I don't remember exactly what we ordered, but I do remember that the food was very tasty and the fruit smoothies were excellent as well. 3.75/5. We had reservations at the Leonardo. Our room was quite simple and rather big with a view of the kinneret ($125 USD). Once again a pretty average experience, but judging from the online reviews on Israeli hotels I would say that no complaints on a hotel, suggests that it’s a good hotel. It was Tu Bishvat, so they gave a complimentary fruit plate with a persimmon, some tangerines and dried fruit along with a bottle of wine (not my field, I don’t even know what kind of wine it was). We decided to take a break on Thursday morning and just chill it out. We asked for a late checkout and we were given the room up to 12:00, so that's when we left. We took a stroll down the Yigal Alon promenade and then headed to Sherry's (Rav Aurbach supervision) for breakfast. We arrived at Cherry's about 1:15 and they didn't want to give us the breakfast special as it officially ends at 12:30, but as we were about to walk out they gave in, so breakfast special it was. The food was pretty good and for under $20 USD we had a full breakfast including drinks. 3/5. We then went to the kivrei tzadikim in Tiberias; The Rambam and quite a few Tanoim very close by (Rebbi Yochanan ben Zakai, Rebbi Eliezer ben Hurcanus and more), Rebbi Akiva and the Ramcha"l on the hill with great views of the kineret and Rebbi Meir Baal Haness near the Chamei Teveria. We left for Jerusalem through the 90. Amazing landscapes. I felt completely safe throughout the way; though I did make sure my tank is full so I wouldn't have to stop for gas. We had booked a segway tour of the old city with ZUZU Segway in advance. It is not cheap at 220 NIS PP for 1-1/2 - 2 hours, but it was worth every penny. Our tour was scheduled for 5:00, but due to rush hour traffic we arrived almost half an hour late, parked at Mamilla mall and crossed the street to start our tour. Luckily, we were the only ones on that tour so we didn't bother anyone by arriving late and we could do it at our own pace (They can have up to 4 people per tour). The tour was terrific. It was the first time riding a segway for the both of us, but it's fairly easy to learn and we were ready to go after 10 minutes of training. Our guide was very helpful and the best part was that we got to see a lot of the old city without having to walk (duh. that's the point of the segway, isn't it). We rode through a lot of the Christian, Armenian and Jewish quarters and we made a couple of stops at important sites like Kever Duvid, Shaar Yafo, Churva square, etc. where our guide gave us some history etc. on the place. We finished the tour around 7:00 and headed to Red Heifer (Rubin supervision) for dinner. The owner gave us a bit of a hard time because we didn't have a reservation, but after 10 minutes we were able to get a table. This was by far our best restaurant experience in Israel, although the service could've been better. We had the braised short ribs (69 NIS) for appetizer and reserve cut (240 NIS) for main. Both were very good. We also loved their lemonana drink, which is basically lemonade with fresh mint leaves in it. For dessert we had delicious pecan pie. 4/5. For our stay in Jerusalem we decided on an apartment in Me'a Shearim so we can breathe the culture. 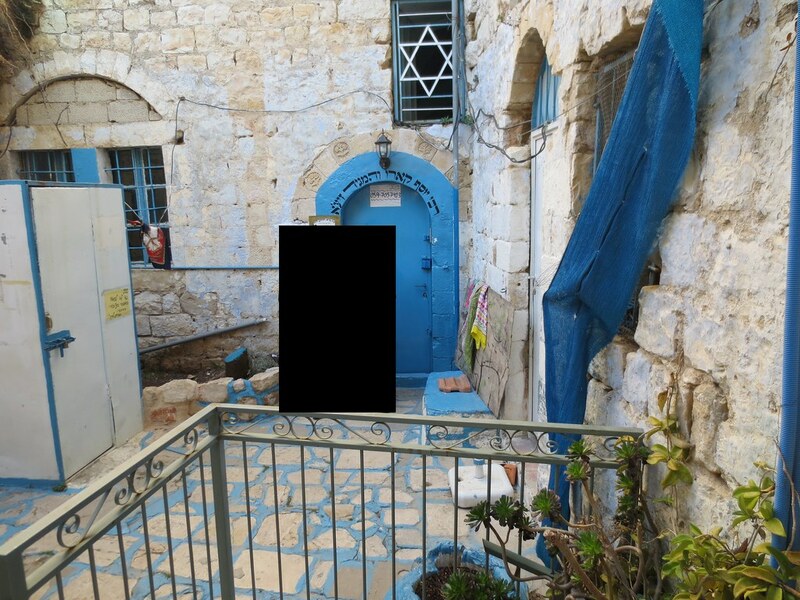 At first we had reservations with Shisha management for a 1 bedroom apartment on Malchei Yisroel for $110 USD per night and we had to give a ($80) deposit, but then we got a much better deal through a friend. His relative was willing to rent his - very nice according to standards there - 2 BR apartment with a balcony and 1.5 bathrooms, right off Me'a Shearim for $100 USD per night. So I canceled our reservation with Shisha management and lost the $80 deposit, but it was well worth it (we only paid $30 more in total, and had a MUCH larger apartment). 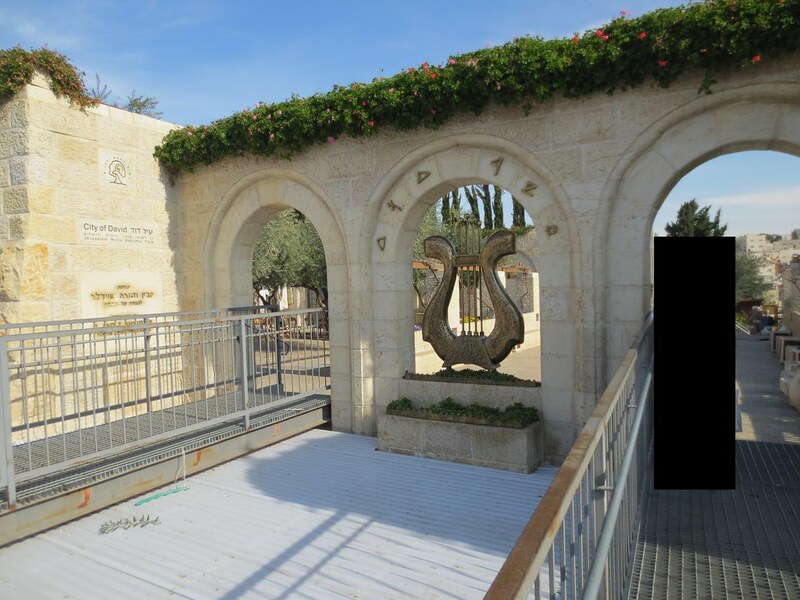 We had reservations with Hoffman tours for the Kever Rochel and Chevron tour. Reason being, that we didn't want to go there on our own. 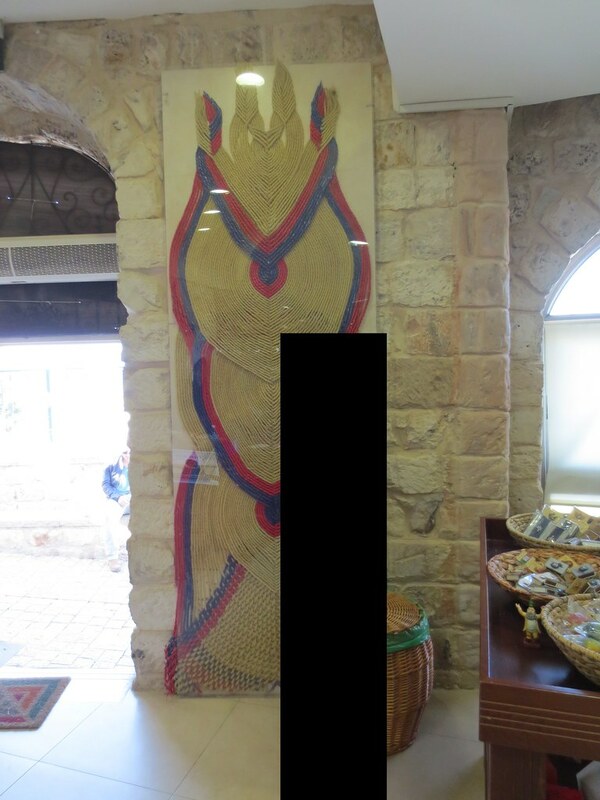 We walked to their office in Geula where the tour departs from, and arranged payment ($52 USD PP, and they charge an extra 5% if you pay by CC.). The tour departed around 9:15 in a coach van (Sprinter) and we first stopped at the old city to drop off some people taking the old city tour (separate tour offered by them), and then continued to kever Rochel where the guide gave us about half an hour to spend on our own. The tour continued south on the 60 towards Chevron, we entered Kiryat Arba and made our way to the Ma'aras Hamachpelah where we spent about 45 minutes, first at the stairs next to the building, where some believe is the Ramban's burial place (Mr Hoffman explained, that that's where Jews prayed for 700 years - IIRC - as the Arabs didn't allow them to enter the building), and then we entered the building and said some tehilim, etc. There was a huge tour group of Asians filling the place (taking pictures with their Samsung devices...) and we could barely move around, but we managed to get to all the important spots (Avraham and Sara, Yaakov and Leah. 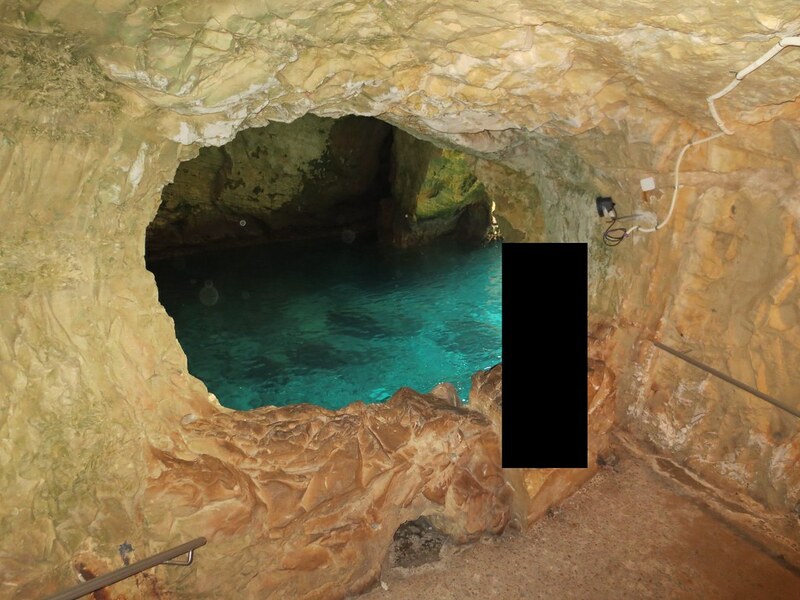 Yitzchak and Rivka as well as the entrance to the cave, are on the Arab side, and are only accessible 10 days out of the year). The tour then made a quick stop for lunch at a pizza shop close by. We had a slice of pizza and a drink (it's not under mehadrin supervision, but the owner showed us that he's only using mehadrin products, and our tour guide assured us that he's researched the place and it's fine), and headed back to the van. Next stop was kever Yishai and Rus, and the Jewish settlement in the old city of Chevron. We then continued to the Avraham Avinu synagogue where we saw some really old Sifrei Torah, one about 800 years old. 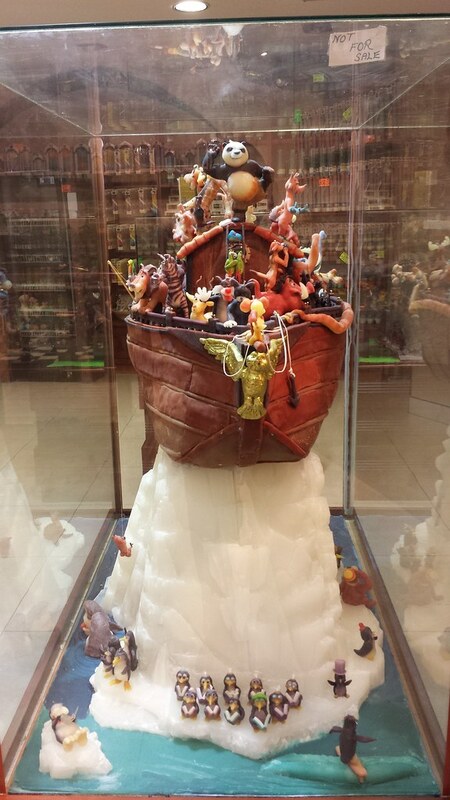 We headed back to Jerusalem and went to Machne Yehuda for some Shabbos goodies. We browsed through the market for more than an hour enjoying every minute in this lively shuk (seems like the established marketing tactic here is to scream. And whoever screams louder, has the sale...). We bought some olives and pastries, and experienced bargaining at its best as the market was about to close for Shabbos. We left less than an hour and a half before Shabbos, and the market was still fully operational. We then caught a bus back to Me'a Shearim. Nothing much to report for Shabbos other than we enjoyed a relaxing Shabbos in Jerusalem. After the zman motzei we walked down to Migdal David to see the sound and light show (55 NIS PP). 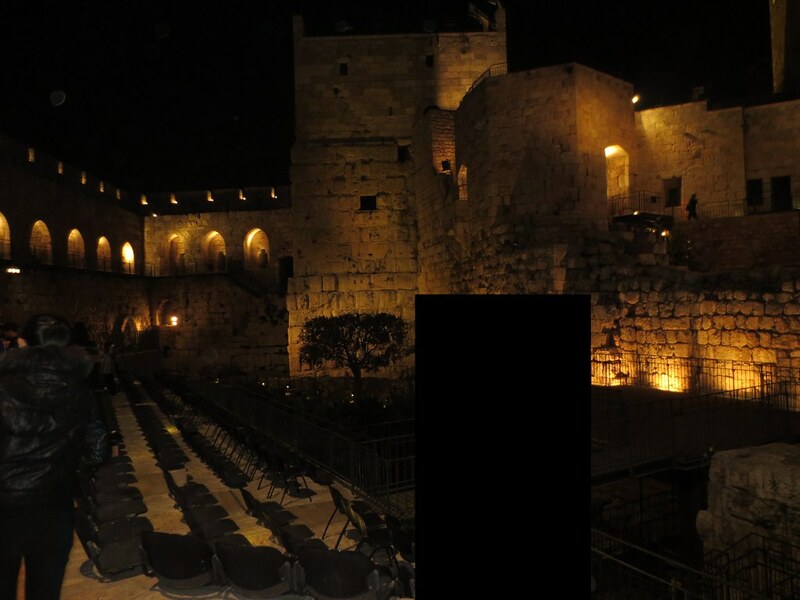 It was running for about 45 minutes and was basically an overview of the history of Jerusalem, where they use the tower for a projection screen. It wasn't so informative, but rather artistic. We then wandered around old city and finally headed back to Geulah for some pizza and ice cream. We had a late start (after all we were on vacation...) and took the bus to the kotel where we had reservations for the tunnel tour at 11:20. The tour itself was incredible, our guide Batya had so much knowledge to share that she could probably do a week-long tour and not be done. The group was about 15—20 people, the cost was 30 NIS PP and it took about an hour and 15 minutes. We reserved it about a month in advance and we're thankful we did, because these tickets are always bought out by tour operators who then sell them either included in an old city tour or separately (With a healthy profit margin though - I found some website selling them for $57 USD PP!!). During the tour we passed by the closest place - permitted for Jews to step on - to the KODESH HAKADUSHIM, most of the kotel that is not accessible from above ground as well as some interesting ruins from the second Temple period. We exited on the north end of the underground western wall, which I believe is in the Islamic quarter, and made our way back to the south end of the wall (western wall plaza) through the Arab shuk. 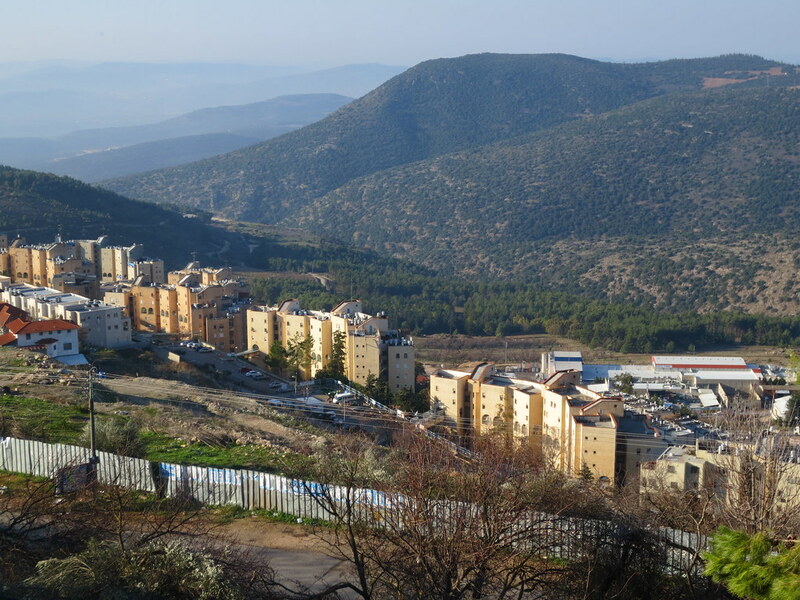 To be honest, I didn't enjoy that walk as I felt the hatred towards us more than in the other Arab areas we visited throughout our stay (to add insult to injury, we passed a sign stating: ‘וכו נרצח פה) that might just be paranoia. Not sure. As we started our day late, we hadn't eaten yet, so we went to the Jewish quarter where we had some sandwiches and a mocacchino at Marzipan (Rubin supervision) and we bought some pastries for the day as well (was pretty tasty but then again, it's a sandwich and you need to be real qualified to screw it up...). Wasn't the cheapest (105 NIS) but the food was good. We then walked down to the city of David where Jerusalem started as a Jewish city (5-10 minute walk), where we had reservations for the 2:00 tour. It's a 3 hour tour which ended up lasting 2-1/2 hours and it costs 57 NIS PP. We had a pretty big crowd scheduled for that tour (30-35 people) and our tour guide Eitan was a bit nervous at the beginning at how he's going to control the crowd. But armed with his portable speaker and wealth of knowledge he managed to keep the groups attention all throughout the tour. Exiting the tunnels, we were in the valley a short walk from the Ma’ayan Hashiloach where the tour ended. 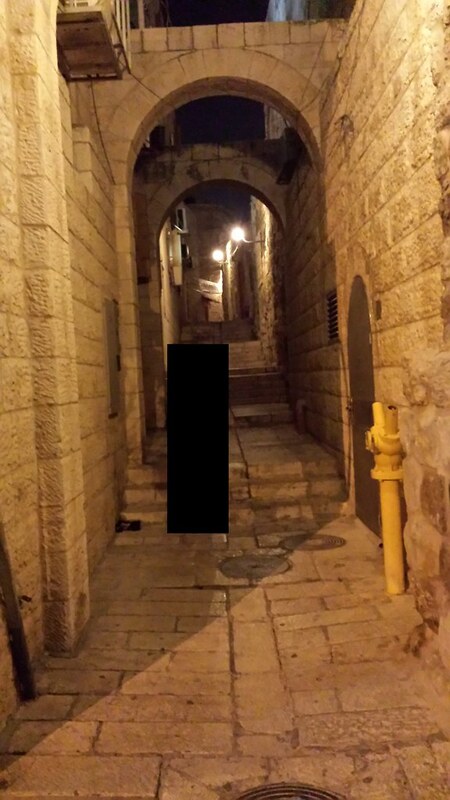 We then continued to explore some streets of ancient Jerusalem on our own. We then took a taxi to Mount of Olives. We started at the lookout point with incredible views of Jerusalem and had a camel ride there as well (60 NIS for the camel ride. I realize I could’ve done a better job haggling). There were lots of soldiers at that point and we were told that Joe Biden was there earlier. We then continued to some Kevurim including the Ohr Ha’chaim and Zechariah Hanavi and then to Shimon Hatzadik. Finally he dropped us off in the Jewish quarter. We had planned to eat at Papagaio, but decided on a typical Israeli dinner. We went to BBQ (Rubin supervision) in the Churva square and had a falafel, shawarma and fries (or chips…) and we were stuffed! Their food was average as was the service. It was a rather inexpensive dinner at $20-$25 for the both of us. 2.5/5. We left our apartment about 9:30 and drove via the 1 and then 90 (Which I BTW loved! 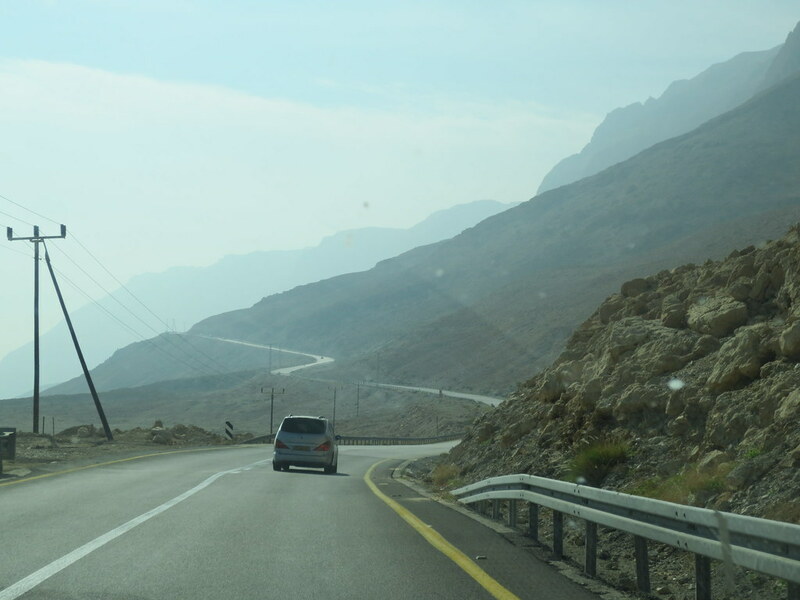 With all the curves and scenic views it felt like driving on a desert track of a computer racing game…) towards the Dead Sea. 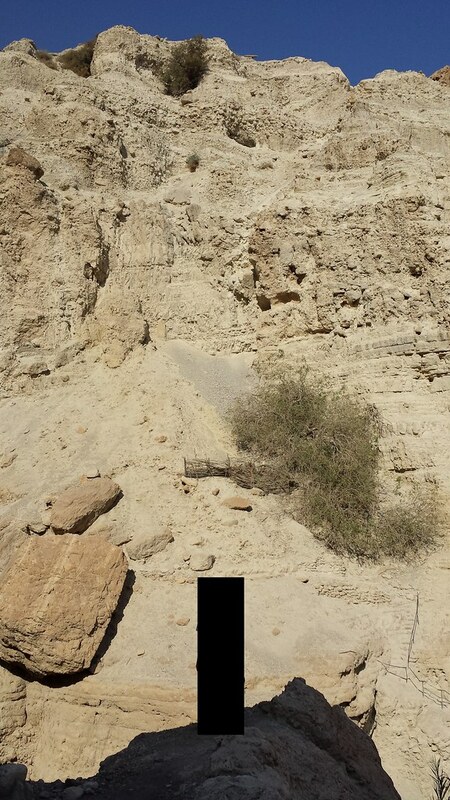 First stop was at Qumran, the caves where they found the Dead Sea scrolls (On display at the Israel museum. We did not make it there though ). It’s a national park, so entrance was free with our unlimited tickets. We watched a short film about the history of the place, had a quick look around (not much to see IMHO as you can’t enter the caves, so you're pretty much left with some more archaeological ruins that we saw all over Israel) and enjoyed the 25-30 degree temperature difference from Jerusalem. We then drove further south on the 90 for about half an hour to Ein Gedi (Also a national park = free entrance with unlimited tickets) where there are several lovely hikes to choose from. 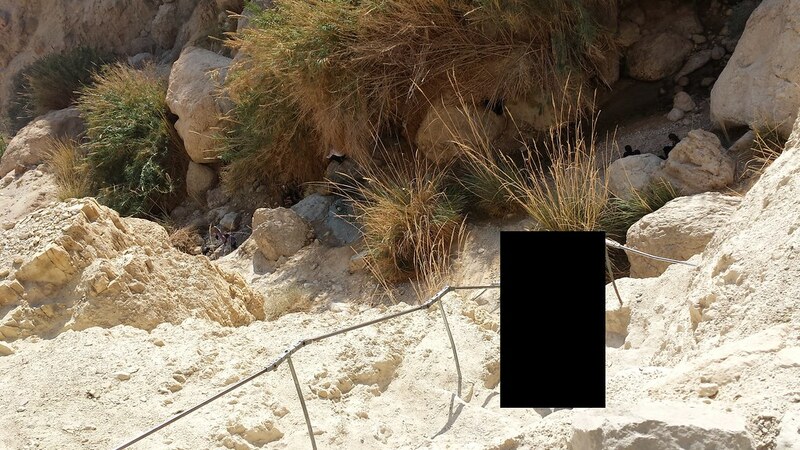 We went with the easy route that most people use, called Nachal (Wadi) David. It’s a 1-2 hour hike (Depending on how picture obsessed you are…) with gorgeous views and nice waterfalls. There's also an old Shul there (also a national park) that we didn't get to visit as we had other plans. 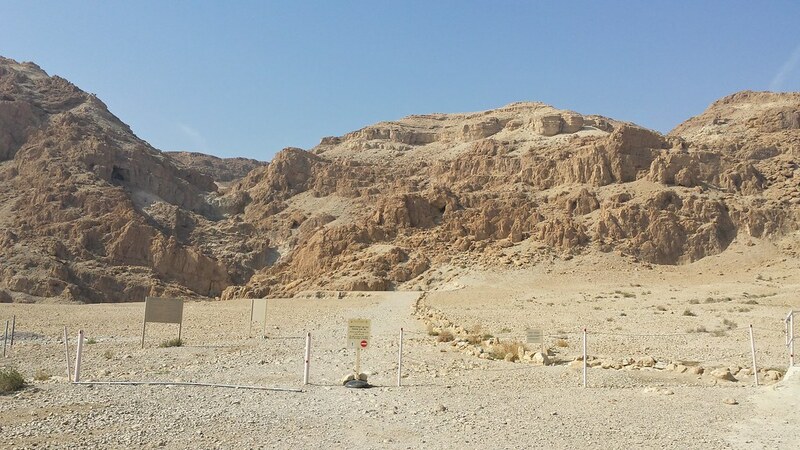 We continued down the 90 to Masada. Masada is also a national park, but the cable car ride up and down the mountain is not included in the unlimited tickets so we paid approx $25 for 2 round trip tickets (I don’t remember the exact price in NIS). 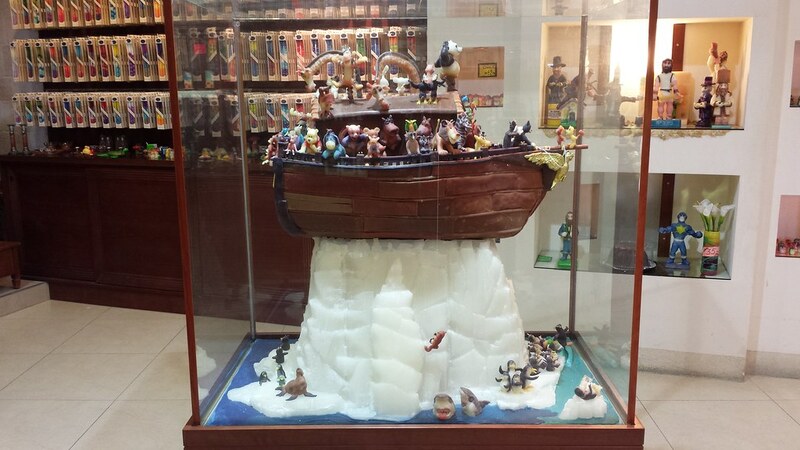 We started with the museum full of artifacts of this amazing place. They gave us an audio guide that automatically plays the recording when you walk into an exhibit, so there's no need to run around and look for those digits. We then took the cable car up the mountain (we initially planned on taking the snake path up and coming down with the electric car, but by the time we got there they wouldn't allow us to use the snake path as they don't want people being stuck there when they're closing. In the winter this can be quite early - IIRC after 2PM they wouldn't let you use the snake path walking up). You're supposed to get an audio guide at the information center on top of the mountain, that explains all the different ruins and sites. But the Israeli there wasn't in his best mood and so he decided that it's too late and that we couldn't get one. Thankfully, the maps of the mountain - you get with admission - have plenty of information and follow the same (or very similar) track as the audio guides, so we didn't really miss anything besides having to read it off the map. Dead sea was our next stop. We went to the separate men/woman beach just a few short minutes drive south of Ein Bokek. There's no mud there, but the floating was an interesting experience. 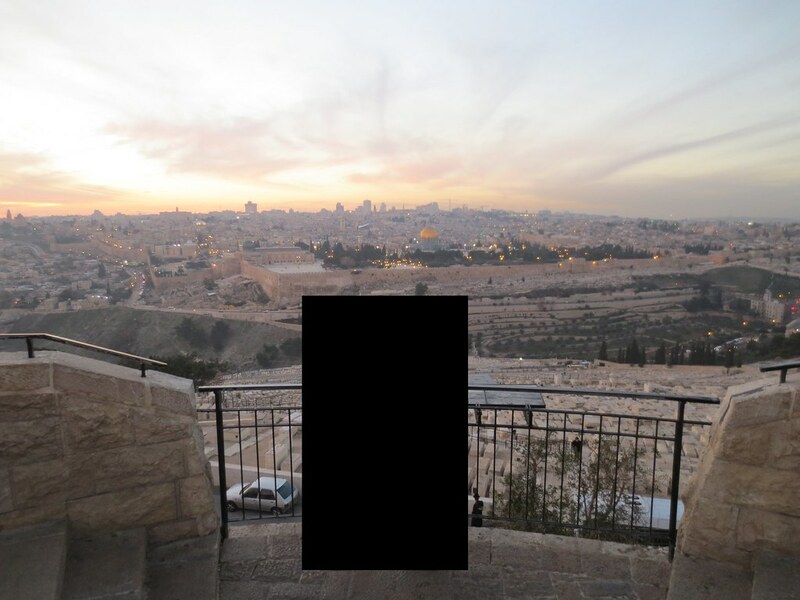 We started driving south again with the hopes of getting a look at "Lot's Wife", but since I couldn't find a lot of info online and it started getting dark, we just turned around and headed back to Jerusalem. It was our anniversary and we went to Entrecote (Rubin supervision) for dinner. I was quite disappointed. I somehow got the impression on the internet that this is a upscale restaurant on par with let's say Red Heifer. But that is not the case. The food isn't bad, but it's nowhere near Red Heifer. Service was Israeli style. Our waiter didn’t speak English and had to go get someone every time we needed something more than a simple menu choice. At $100 USD it wasn’t cheap either. All in all it wasn’t bad, we just overestimated it. 3/5. We left for the airport around 7:30 in the morning, filled up with gas on the way and returned the car to Thrifty. They tried screwing me over some scratch on the passenger door you had to use a magnifying glass to see. They wanted like $150 for it and I just didn't budge until the guy said "okay never mind". They then shuttled us to the terminal. I davened Shachris in the Shul after security, got ourselves breakfast at Aroma Espresso Bar (IIRC, Chasam Sofer supervision). They're quite expensive, but it was worth getting fresh food right before boarding. At the end of the day, we spent a lovely week in Israel and really enjoyed our first visit there. And all for just under $4,000 everything included. Thanks for reading. And I hope people will find it helpful in planning future trips, as the motivation for writing this came from the lack of Israel trip reports here (you'd figure a place like Israel would have the most reports on a forum like this, where most requests in this thread is for tickets NYC-TLV...). If you have any questions ask away. How did you get to that amount? I'd say more like $15. Will get some pictures up for sure - on my phone in Patagonia at the moment but I'll see what I can do. Yes I'm a UK citizen; no Visa charge for us. Oh, didn't realize you're still there. Enjoy! I confused the UK with Canada and Australia that still pay the reciprocity fee. Re: (Active, Unfortunately) Take a Spin with SPG game Dead BH. Flying with LFH booked via United. come on your going to lie.. they use to call you PEE PEE Dave because he made pee pee in his bed till he was in 12th grade. Does your mom know you're up at this hour? Not being allowed to do it adds a lot to it psychologically. If one knows he can decide at any moment to change his mind I'd assume you don't get the same desire. You have some splainin to do.